There were 37 knife patterns that were planned & manufactured in a span that started in the late 1980s & lasted into the mid 1990s that make up the original Case Classic knives. They were the product of Mr. Jim Parker’s realization of a dream to replicate the design, construction, & materials of classic knives of many years past. Parker was interested in creating extremely high quality knives with a vast array of different handle materials & patterns. Knowing that it was unattainable for a collector to find and spend thousands of dollars on old originals, he figured the Classics would offer the collector the ability to match quality & style of the vintage knives while keeping the cost to accumulate them affordable. He got the ball rolling in the late 1980s. At that time, Parker owned the W.R. Case & Sons Cutlery Company. His ownership of Case & his ties to titans of the industry positioned him well to take advantage of crucial resources that enabled his idea to develop. W.R. Case & Sons still had some of their old tooling used to make some of the vintage knives from much earlier eras. In addition to this, Parker was able to secure old knife tooling from other companies to accompany the Case tooling. This was a great launching pad to begin building prototypes of these old designs in the manner they were made long ago. The W.R. Case & Sons Cutlery Company under Mr. Parker’s stewardship soon finalized its initial plans, collected all necessary resources and started making these knives in volume. Case made four of the patterns & sub-contracted the remainder out to Blue Grass Cutlery who outsourced the manufacturing processes to Queen Cutlery. The result of the effort was a fantastic variety of extremely high quality knives that were much like some of the old vintage patterns of the distant past. The classics are truly beautiful without a doubt. The economics of the undertaking may have been less successful for some involved. Case began the process of bankruptcy soon after the project began to wind down. Many of the knives appreciated greatly in value compared to their original selling price, so many who were involved as collectors or Case associates who held onto their accumulations faired well. Now there are many collectors who find these knifes irresistible while others are somewhat indifferent. Most will agree that the quality is superb. Case Classic Knife Numbering System This link will explain Case Classic’s knife numbering system uses to represent knife patterns, handle materials, and other characteristics about the knives. Case Classic Handle Slab Variations This link will provide information about the many different handle slabs used on the Case Classic line of knives. Case Classic Shield Variations This link will provide information about the shields used on the Case Classic line of knives. 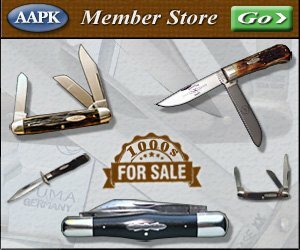 Case Classic Knife Image Gallery This link will bring you to AAPK’s Case Classic specific image gallery. You will find many pictures of the various patterns dressed in a plethora of different handle slabs, shields, etches and more. We urge you to upload additional pictures to this gallery if you have some! Case Classic Knives For Sale This link will bring you to all of the Case Classic knives AAPK members have available for sale. You will find a very nice selection with new knives added regularly.